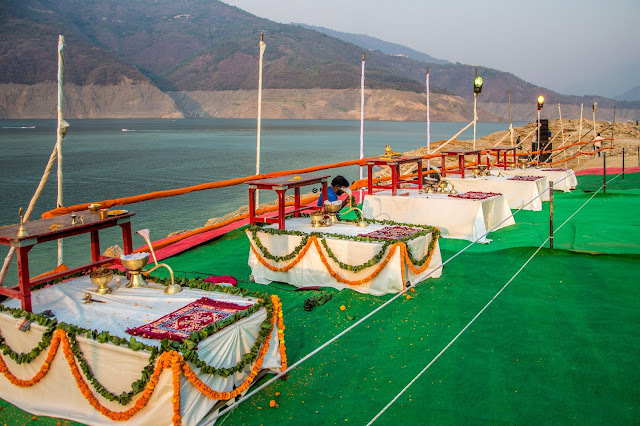 Tehri is place, where Tehri dam is built on the confluence of River Bhagirathi and Vilangana, which takes the name Bhagirathi to meet river Alaknanda at Devprayag to become Holy Ganga. 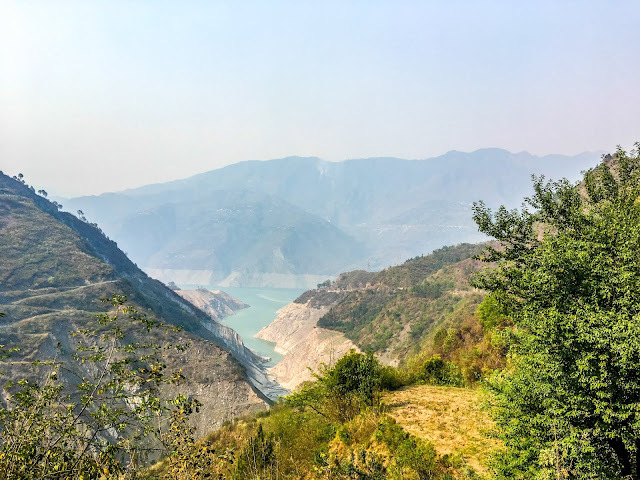 At the Dam a huge lake has been formed covering an area of 42 sq kms. Tehri is about 14 kms from Kanatal. Adventure watersports activities are conducted here, which were generally confined to beaches. 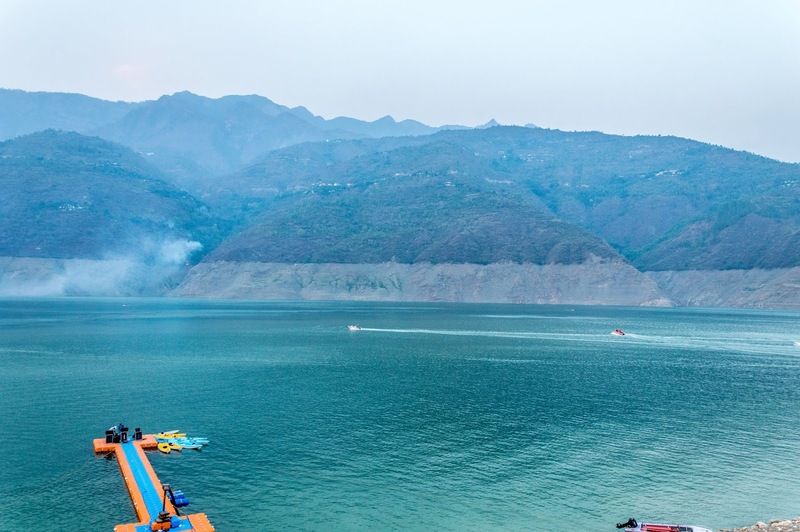 This is the only lake in North India, where adventure water sports activities are conducted ( I may be wrong here, please correct me if so). 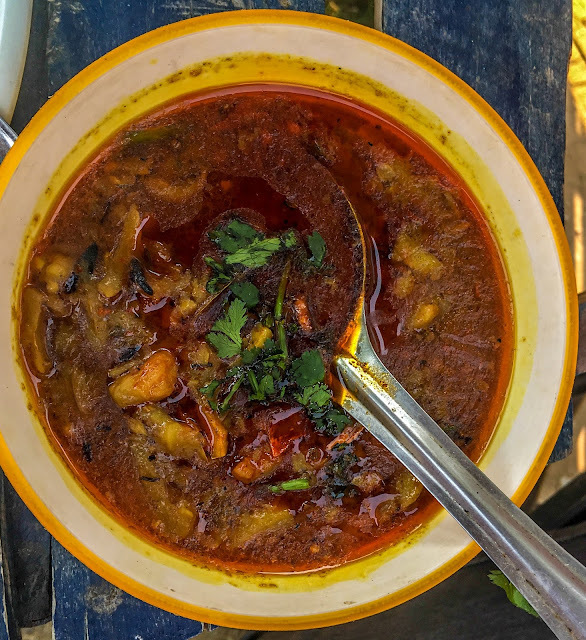 So after coming back from Kaudia range , we headed for Lunch. 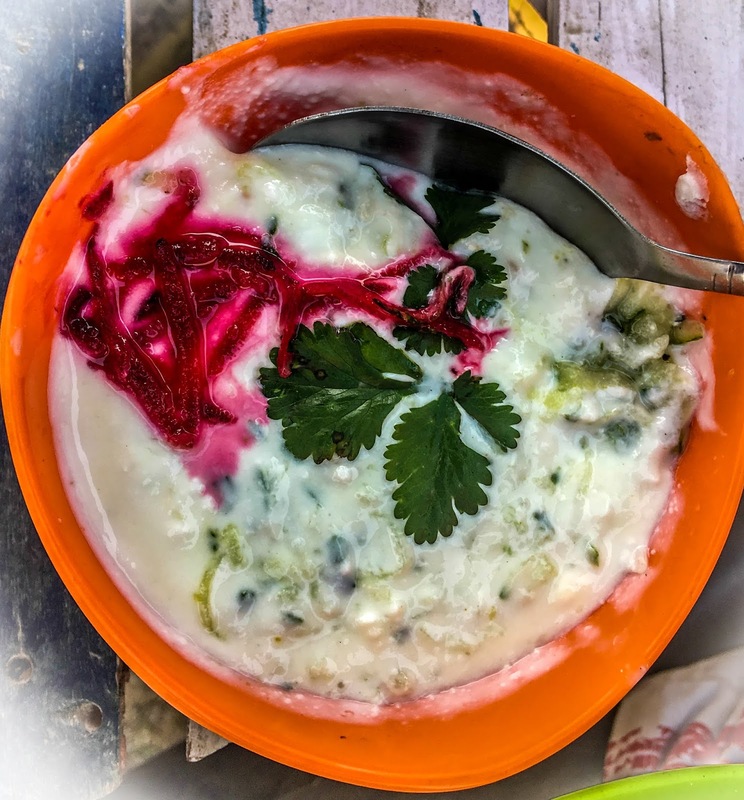 Lunch again was local fare, Thechwani Aaloo, Kheere ka Raita and Rotis. During our trip, i.e. 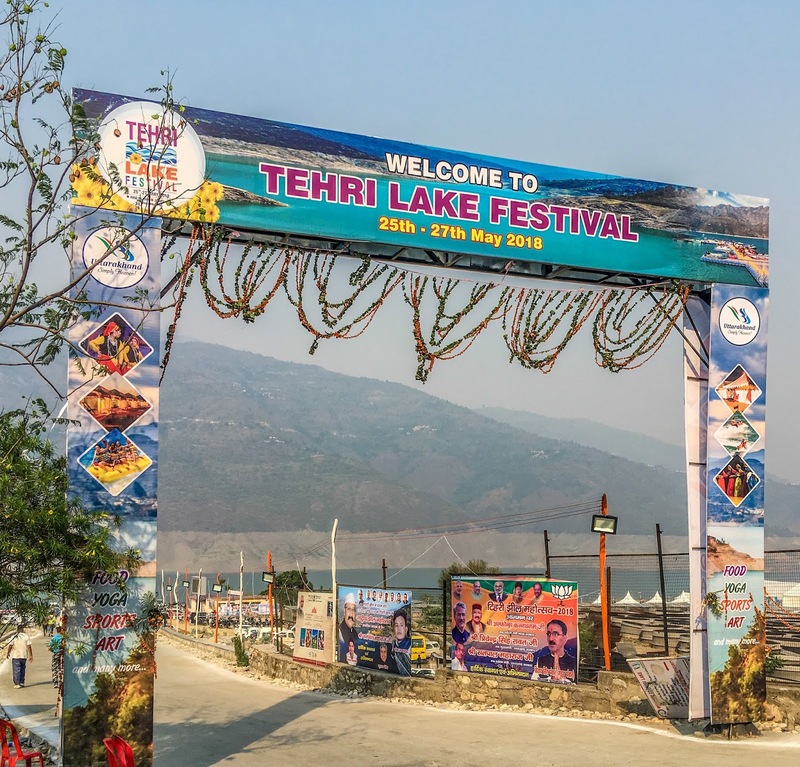 25 - 27, Tehri Lake festival was being held at Tehri Lake to promote this place as tourist destination. This was another added attraction apart from water sports to visit this place. After finishing up our lunch hurriedly, we rode towards Tehri. 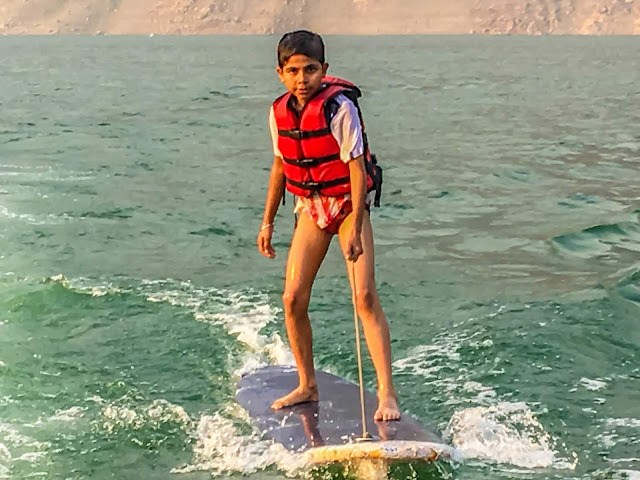 Finally we were at the place for which Sarthak was eagerly waiting for.Water sports area. The area was full of energy. High speed Motorboats revving up their engines, Jet skis whizzing past them, Tourists shrieking, when the banana boats were overturned intentionally. The things were pretty organised here. Rates were fixed for each activity. You buy a ticket and the operator who is free will take you for the activity or you can choose the operator . 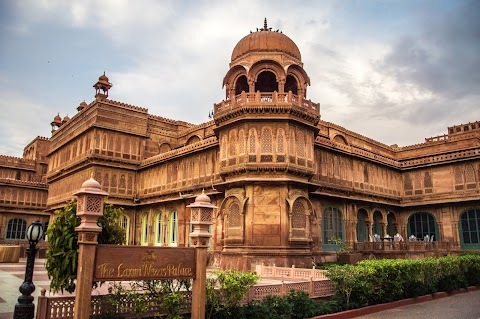 पर हिन्दुस्तान में जुगाड़ हर जगह पर चलता है। Chahca the restaurant owner had already phoned someone to receive us and take good care of us. Babbu was the name of gentleman. We called him on reaching near the ticket counter. भाई दो मिनट में जिन्न की तरह प्रकट हो गया। Took us through even without buying the ticket to Jetty. The things were managed well if not excellent nobody was being allowed on the jetty without safety jackets. Sarthak wanted to do water skiing and this was the costliest activity for Rs. 700.00. Please excuse the poor image quality at Lake as they were taken with old 5s Phone. 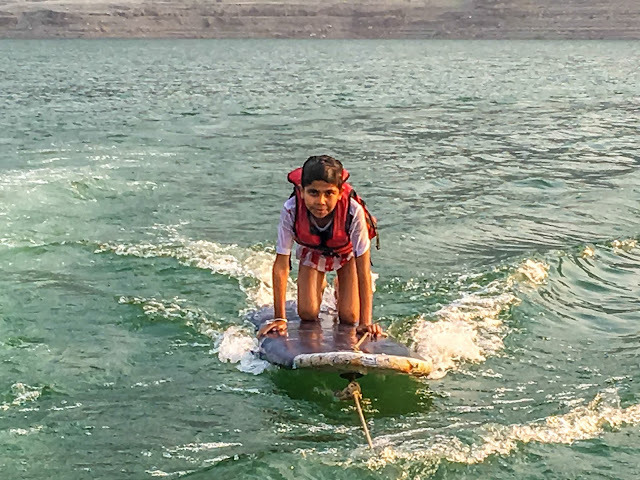 After completing the assigned 02 rounds of water skiing, when we were returning back, I asked Sarthak, if he wanted more. He said yes. So we asked and negotiated for another round, finally he charged us Rs. 1100.00 for 04 rounds. After water skiing, we were feeling hungry. Munched on the snacks that we had brought along with and washed them down with cold drink. As a part of lake Festival, there was a Laser show and Ganga Aarti. we lazily walked towards the arena to grab front seats.